When you think of candy, you may think sweet goodness of sugar. Have you ever wondered why there are a variety of sweeteners? A lot of candy isn't even made from sugar anymore. These are some of the sweetening ingredients you may find on a label. Aspartame, an artificial sweetener, was approved for use in foods in 1983. It is almost 200 times sweeter than sugar! Brand names you may be familiar with are Equal and NutraSweet. There is a lot of controversy with aspartame because of food safety issues. Most people believe that if you use it in moderation, you'll be okay. Sugar Alcohols include sorbitol, mannitol, maltitol, glycerol, xylitol - any connection to the substances that end in "ol." If you eat a quantity of these sugar alcohols at one sitting, make sure you are near a bathroom, because you're going to need one. These sweeteners are found in a lot of sugarless gums and chocolates, and hard candies. Be careful! Sucralose is almost 600 times sweeter than sugar, and has been around since the late '90s. It is sold under the brand name Splenda. Saccharin was actually discovered over a hundred years ago, and was used a lot during WWI when there was a sugar shortage. It is around 500 times sweeter than sugar. Many people find the taste unappealing. Stevia is only 300 times sweeter than sugar, and is used as a liquid sweetener. It is natural and comes from a plant. Sugar refers mainly to sucrose, which comes from sugar cane and sugar beet. It's the number one ingredient in Razzles candy. Corn syrup is made from maize, and is a liquid sweetener. It is used in a lot of candy production. It is the main ingredient in Sugar Daddy Lollipops. It’s hard to believe Michael Jackson is gone, isn’t it? He was such a huge part of music popular culture. Well, Michael Jackson would have been 53 today. Known as the King of Pop, his contributions to music, dance, and fashion are almost unparalleled. Which era of Michael Jackson’s life do you remember the most? Do you think about his time in the Jackson 5 with his brothers? Or does your memory hearken back to his solo career that began in 1971? Frankly, we’ll always remember his Off the Wall album. It was the first solo album to generate four top 10 hits in the US. “Don’t Stop ‘til You Get Enough” and “Rock with You” are some of our favorites! Maybe that’s because it’s how we feel about candy… don’t stop ‘til you get enough of those Pop Rocks! Anybody that was around in the 1980s certainly remembers Michael Jackson’s heyday. Our 1980s birthday candies are perfect for anyone born during Michael Jackson’s undisputed reign as the King of Pop. Take the time to flashback to the 1980s by popping in some Thriller, learning how to moonwalk, and munching on some Smartie Pops, Atomic Fireballs, Tootsie Rolls, and so much more. Hurricane Irene is pounding away outside, and it's pretty scary. The wind is blowing really, really hard, and the rain is coming down in buckets. There's nothing like a little nostalgia to forget about what's going on right now. After a concert in Forest Hills Tennis Stadium in Queens, the Beatles were having dinner in their Delmonico Suite Hotel in New York City. Suddenly Bob Dylan appeared. Supposedly after some awkward conversation, he asked if they wanted to get high. He thought thought the refrain in "I Wanna Hold Your Hand" said "I get high" instead of "I can't hide." Folklore has it that Dylan rolled a joint, but because there was a squad of security detail in the hall they had to move to an inside room. Ringo and band manager Brian Epstein led everyone back there and stuffed wet towels at the bottom of the door to keep the smoke from getting out. This was supposedly their first group wide indulgence of smoking pot. Some 200,000 civil right supporters gathered on the Mall in Washington, DC for the March on Washington for Jobs and Freedom. Martin Luther King delivered his 17 minute "I Have a Dream" speech from the steps of the Lincoln Memorial. Singers Bob Dylan, Joan Baez, Peter, Paul and Mary performed and civil right activists John Lewis, Bayard Rustin, and Roy Wilkins spoke. But the day belonged to King who called for racial equality and the end to discrimination. Hurricane Irene makes landfall along the eastern seaboard. Today is the 48th Anniversary of the "I Have A Dream Speech," and the dedication to the newly unveiled Martin Luther King statue had to be postponed because of the hurricane. Chinese sculptor Lei Yixin took four years to complete the statue. Visitors will walk through two granite halves of "The Mountain of Despair" to reach the "Stone of Hope" in which King emerges. Prince Charles and Princess Diana divorced. 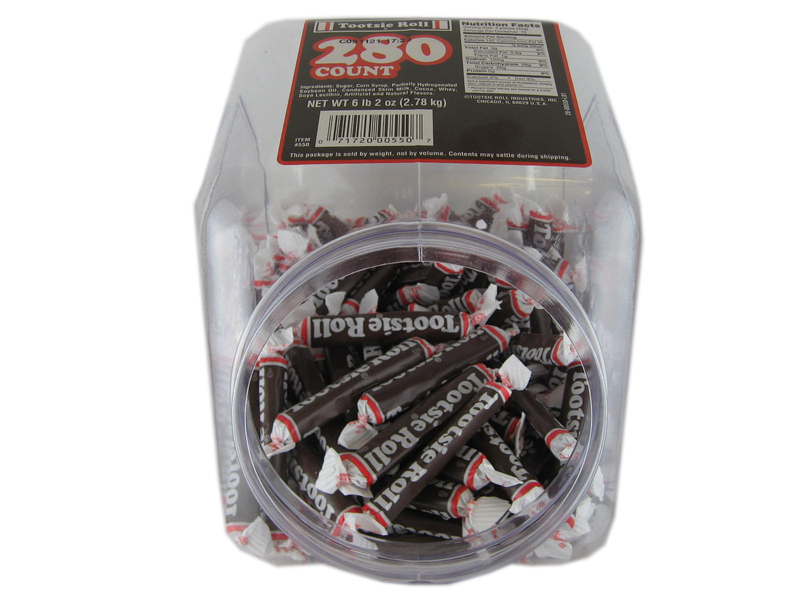 The Tootsie Roll company has been around since 1896 when Leo Hirschfield first started making candy in New York City. He wanted to make a chocolate flavored candy that wouldn't melt in the heat. Maybe you've noticed that Tootsie Rolls still hold their shape and don't melt all over the place in the hot sun. They have a long shelf life and ship really well, too. This candy, made from an old family recipe, is named after his daughter Clara's nickname, "Tootsie." Just imagine if she didn't have a nickname. The Clara Roll would be a household name today instead of Tootsie Roll! During WWII, Tootsie Roll candy was shipped overseas as part of the G.I. 's rations, where they were well appreciated by anyone who get hold of them. 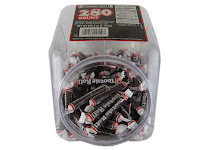 Doscher's French Chew Taffy candy, Juicy Fruit Gum, and Goetze Caramel Creams have all been around slightly longer than Tootsie Rolls, but not by much. It goes to show, if you have a good product and a good business sense, you can be in business for generations! It wasn't until 1931 when Tootsie Pops were invented. It's a hard candy on a stick encasing a Tootsie Roll center. 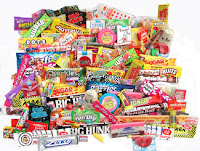 Besides Tootsie Rolls and Tootsie Pops, the company produces other nostalgic candy including: Crows, Sugar Daddy, Sugar Babies, Charms, Blow Pops, Razzles, Nik-L-Nip, Dots, Junior Mints, Bonomo's Turkish Taffy, Charleston Chew, Dubble Bubble, and Andes Mints. Because there is so much nostalgia associated with Tootsie Rolls, one is added to almost every one of our retro nostalgic candy gift boxes. The world's oldest person is celebrating her 115th birthday today!! Her name is Besse Cooper and she's having a birthday party at her nursing home in Monroe, Georgia. She was born in Tennessee in 1896 and moved to Georgia during WWI. If you had to bring a birthday present to her celebration, what on earth would you give her? At this age, she surely doesn't need any unpractical objects. Her son says she sleeps 80% of the time. So maybe a cozy blanket? Companionship would be good; some time to just sit and keep her company with some conversation. Ms. Cooper has got to have some great stories to tell! At age 115, she has the two most important things in life: family and her health. She explains her longevity with this "I mind my own business," and "I don't eat junk food." Minding your own business can keep a lot of stress out of your life, but junk food? Most of us feel we need some of it to keep our sanity, and here, we love our retro candy! Just for perspective, here are some candies that evolved around the turn of the century when she was born: Doscher's French Chew Taffy (1871), Juicy Fruit and Wrigley's Spearmint Gum (1893), Tootsie Roll (1896), Candy Corn (1898), The Hershey candy bar (1900), Necco Wafers (1901), Squirrel Peanut Bar (1905), Hershey's Kisses (1906), and the Idaho Spud Bar (1909). I wonder if Ms. Cooper would be surprised that some of the candy she grew up with is still around today! 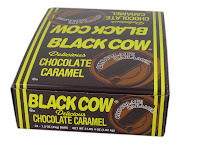 Black Cow is a name synonymous with nostalgic candy. It was very popular from the 1920s until the 1980s when it suddenly disappeared. Back then it was Slo Poke taffy on a stick dipped in chocolate coating. 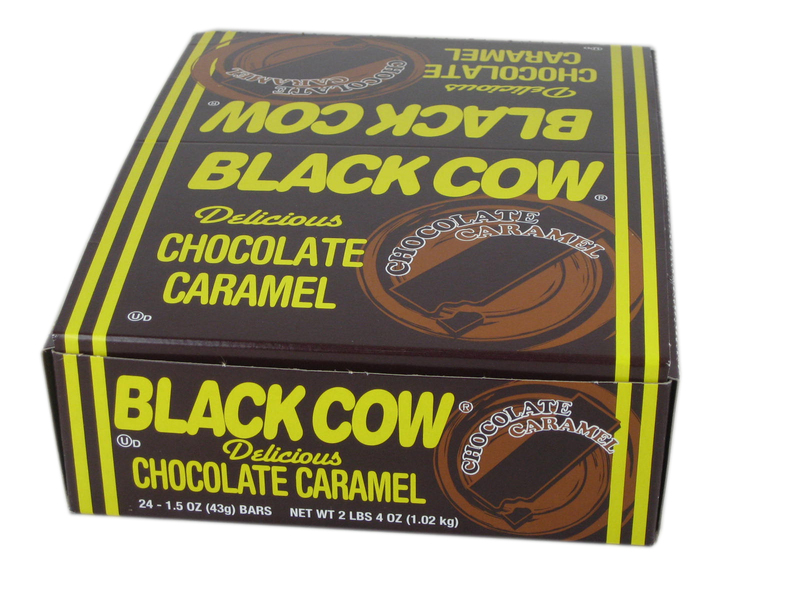 Black Cow candy was reintroduced into the marketplace at the beginning of 2011, only it tastes slightly different than you might remember. Now it is a smooth chocolate flavored taffy like caramel candy bar, kind of similar to a tootsie roll. It melts in your mouth, and does taste good, but it doesn't taste familiar. Candy from our childhood definitely plays right to our emotions. Many of us long for things that tie us to memories of our younger days. Is the manufacturer of the updated version of the Black Cow trying to get to the heartstrings of the 40 to 80 year old crowd who remember eating Black Cows? The new candy bar is a little bit of a stretch in comparison to how it used to be. But because of the name, people still love Black Cows. Car manufactures do the same thing. They modify popular brands so much that the only thing recognizable is the name. For example a Ford Thunderbird is completely different today than it was in the '60s. It seems common these days to use a household name to try to sell something that we remember from years ago. It's all because nostalgia is a big seller these days. 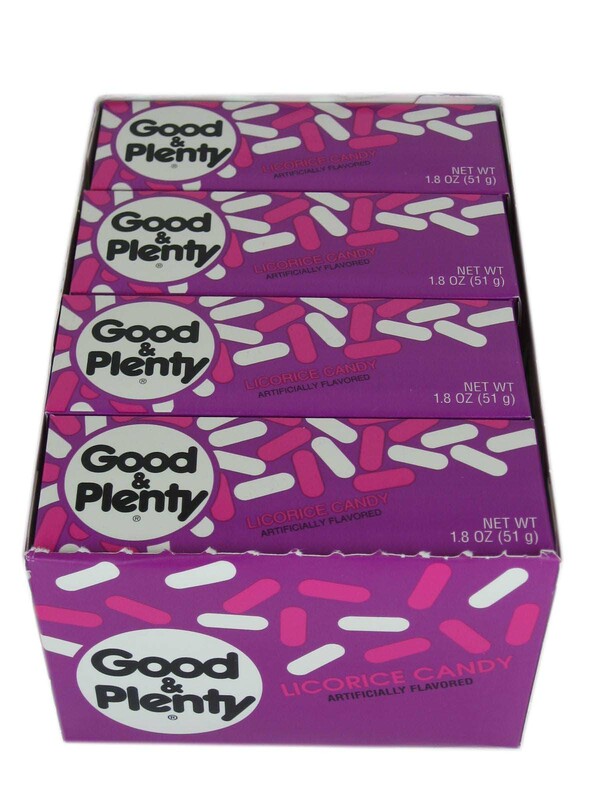 Good & Plenty, the soft pink and white licorice candy, is one of the oldest branded candies in the United States. It was first made in Philadelphia in 1893. Next time you go to Philadelphia, remember the city is famous for Good & Plenty candy as well as Independence Hall! Many of you might remember Choo Choo Charlie, the engineer who fueled his train with Good & Plenty in the '50s. Charlie says 'Love my Good & Plenty!'" Don't know any other candy that I love so well! The candy TV commercial was definitely geared toward kids. 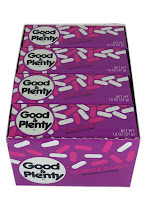 At WoodstockCandy.com, we find that Good & Plenty is popular with the adults that grew up with Choo Choo Charlie. Today's kids mostly prefer sour candy and gummies, not licorice. Back in the '40s and '50s , there was less candy to choose from, so kids were happy to have anything sweet. But today, there are hundreds of varieties of candy to choose from. The candy that has been around the longest still has an appeal to the generations that grew up with it, and it really brings back the nostalgia. Keith Moon would have celebrated his 65th birthday today, had he not died in 1978 at the age of 32. He was a very talented drummer who was a member of the English band "The Who." They were well known for their great music, their performance at the Woodstock Festival, and their ability to destroy musical instruments on stage. We'll always remember Keith Moon as the baby faced drummer that never got the chance to age. He would have been the same age as Bill Clinton, who last week celebrated his 65th birthday. A 65th birthday is definitely a milestone age; you're eligible for Medicare and Social Security and only 5 years away from being 70. You're entering into your "golden years!" The older you get, the more you look back at your youth and wonder how the time went by so quickly. One glance in the mirror, and you see your hair growing thinner, if you still have hair. A youthful figure may suddenly have a lot more padding, and eye glasses may need to be stronger. Time plays tricks! It seems like just yesterday that you were a kid, but now your own kids are grown, and made you into a grandparent. A lot of things become very nostalgic; candy you ate as a child, the music you listened to, the places you went, and the car you drove way back. These memories somehow are very comforting because they take you back to a different place in time. Watch out because if you haven't reached it yet, you're 65th birthday is lurking around the corner! 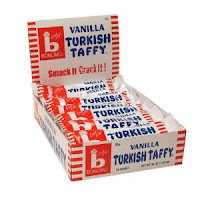 When we were kids, eating Bonomo's Turkish Taffy was always a summer ritual for my best friend and me. We would get our bars at the "What Not Shop," and rush home to put them in the freezer. As soon as they were cold, we would take them out to the road and whack the wrapped bars a few times. A bite sized piece of Bonomo's Turkish Taffy was so delicious- it would just melt in your mouth! Somewhere I came across the original instructions that were written on the package. It said, "Crack it Up! Hold Bar In Palm of Hand - Strike Against Flat Surface - Let It Melt In Your Mouth." As kids, I don't think we took the time to read the packaging, but somehow we knew what to do with the Turkish Taffy bar. When I talk about some of my favorite childhood candy memories to customers, there is always an enthusiastic response. We all love to talk about the candy we grew up with; it always brings back thoughts of simpler times in life that were stress free. Because childhood candy is all about happy memories, it's sought after by many adults. A lot of candy stores have a nostalgic section geared mostly for the 40 and 50 year old kids. Fortunately Turkish Taffy is available again after being off the market for years. As long as we can still have our childhood candy, who wants to grow up?! "Over the Hill" is frequently used to describe someone who has just had an important birthday, like 50th, 60th, or 70th. It's said with humor, and means the person is transitioning from youth to old age. This phrase is used on a lot of birthday cards and gag gifts to jab someone at the expense of their age. There are tiaras, hats, banners, mugs, over the hill party buttons, books, retro candy, and jokes all available for this special day. If you’re searching for a birthday party theme, then you’ve come to the right place. We have the perfect theme for birthday parties for kids (and adults) of all ages! Here are some ways to turn your next birthday party extravaganza into a candy birthday. If you’re throwing the party for a child’s birthday, pass out lollypop invitations. Just tie a decorative invitation around the lollypop’s stick. If you don’t want to use real lollypops, make lollypop invitations using construction paper and lollypop sticks. For an adult party, tape the invitation on the back of a chocolate bar, or your favorite candy. Create a nostalgic twist for an adult party by using everyone’s favorite childhood candy! Decorations and food can go hand in hand during this sweet party theme! 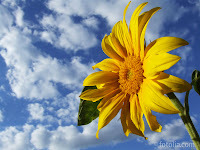 Make lollypop trees by sticking lollypops into a foam ball with a stick, and planting the structure into a flower pot. If the party is for adults, use old fashioned candy, which will remind them of their youth. Make garland by hanging candy necklaces around the party area. You can have a traditional birthday cake, but have it made in the shape of a cupcake or cover a sheet cake with candy. Every child’s party needs a few games! Make candy necklaces using string and different types of round candy with holes in the center, such as life savers, peach rings, strawberry rings, etc. Discover who can blow the biggest bubble gum bubble. 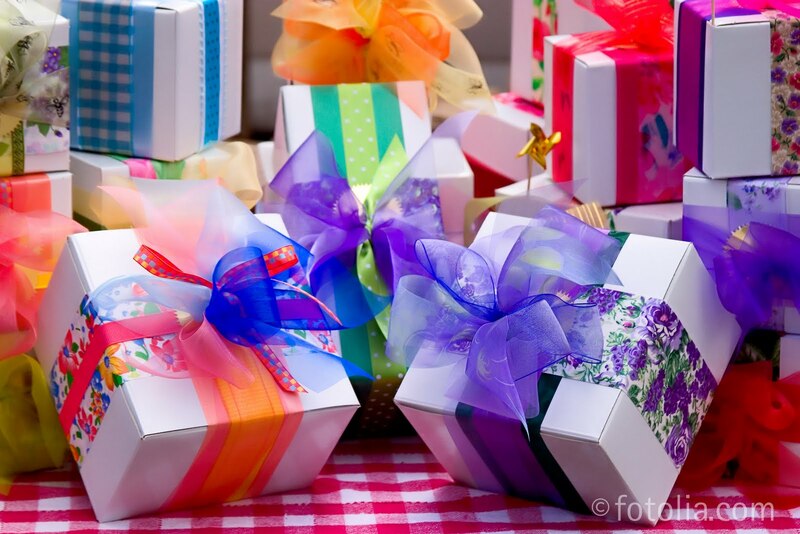 Make candy gift baskets for party guests. What are some of your ideas for a candy themed birthday party? Let us know at WoodstockCandy.com. It's hard to believe that Robert Redford is celebrating his 75th birthday today. He's aged so gracefully. To honor his birthday, tonight would be a great time to watch one of the movies that he starred in. We recommend "Butch Cassidy and the Sundance Kid" (1969), "The Sting" (1973), "The Way We Were" (1973), and "Out of Africa" (1985). If you're a baby boomer, you probably remember when these movies were released. Time flies when you're having fun! Because "Butch Cassidy" coincides with the anniversary year of the Woodstock Festival, and our town is famous for the festival that didn't take place here, we have to go with that one. Before you watch your Robert Redford film, grab some nostalgic candy for a trip to the past. Our old time favorites are Candy Cigarettes and Pixy Stix. 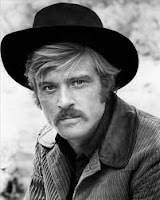 These are timeless classics just like Robert Redford! Happy 75th Birthday to a great actor. Can’t you just feel the history in the air this week? Way back in 1969, music fans from all over gathered on Max Yasgur’s 600 acre dairy farm in the Catskills in the town of Bethel, New York to celebrate peace, love, and music. That’s right... we’re talking about the Woodstock Festival! This is one of our favorite times of the year. During the (sometimes rainy!) festival, thirty two acts performed in front of 500,000 concert-goers. It’s one of the biggest moments that changed the history of rock and roll. So settle in with some nostalgic Woodstock candy, pop in the Woodstock soundtrack, and enjoy this little bit of history. This is one of our favorite quotes about the festival. You know, we find it hard to believe that some people forget that Creedence Clearwater Revival played Woodstock, too! “We were ready to rock out and we waited and waited and finally it was our turn ... there were a half million people asleep. These people were out. It was sort of like a painting of a Dante scene, just bodies from hell, all intertwined and asleep, covered with mud. And this is the moment I will never forget as long as I live: a quarter mile away in the darkness, on the other edge of this bowl, there was some guy flicking his Bic, and in the night I hear, ‘Don’t worry about it John. We’re with you.’ I played the rest of the show for that guy.” –John Fogerty about CCR’s 3am start time at Woodstock. 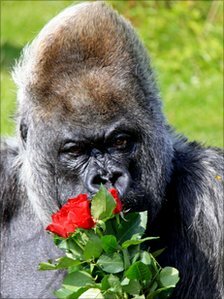 Nico, a western lowland gorilla who lives in captivity in the UK, celebrated his 50th birthday in style today. He is thought to be the oldest silverback in Europe. No one is certain of his exact birthday, but August 16 has become the date they celebrate it each year. The average life span of this type of gorilla is 35 years in the wild, and 54 years in captivity. The staff at Longleat Safari Park, where he lives, didn't know what to get Nico for his birthday since he pretty well has everything he needs. This 50 year old gorilla lives a very pampered lifestyle which includes a television in a centrally heated house on his own private island. Nico probably would have loved a box of retro candy, but I don't think that's part of his vegetarian diet. Someone thought to give him a bouquet of flowers which he promptly threw on the ground. He was happier with the banana shaped birthday cake that was presented to him. If you thought it was hard wondering what gift to get for someone who has everything, try shopping for a 50th birthday gift for a gorilla! Have you ever wondered what happened to some of your favorite old time candies? Some brands have gone by the wayside. Candy that was once loved by so many people will suddenly disappear from store shelves without a trace. It becomes just another memory along with everything else that vanishes into thin air! BB Bats, Slo Pokes, and Kits have just been discontinued by the manufacturer in the past few months. BB Bat taffy pops were getting really soft and would ooze out of their wrapper if they got a little warm. I'm not at all surprised at all that they're no longer available. Something about them was different. Chuckles, Hershey Bars, Good & Plenty, Jujubes, Bit-O-Honey, and Lifesavers are here to stay. They've been around since your grandparents were kids, and you can still find them in the candy aisle. They'll probably be around for your grandchildren, too. Some candy is timeless and seems to please one generation after another. Other candies have had their ingredients reformulated. Corn syrup used to be a main ingredient in candy. Today a lot of it has been replaced with high fructose corn syrup because it cuts cost. It's a different form of sweetener than basic corn syrup, so it alters the original recipe. That's why some candy brands might taste different than what you remember as a kid. Some discontinued candy that you won't be eating anytime soon include the Marathon Bar, Seven-Up Bar, High Noon Candy Bar, Black Cow Sucker, Good & Fruity, Reggie Bar, Sugar Mama, Powerhouse, and Milkshake Bar. Savor every bite of candy, because one day you might have to rely on your memory if the manufacturer stops making it! Bring on the nostalgia, because today is Vinyl Record Day! August 12, 2011 is the 134th anniversary of Thomas Edison inventing the phonograph, and the 9th annual celebration of the vinyl record and its cover art. This special day was started by Gary Freiberg in hopes of raising awareness of the importance of preserving vinyl records. I'm glad there's such a day, since I have hundreds of records that just sit idly on my shelf. Now I realize that just to have them is a good thing because they are being saved for some greater purpose. I really do appreciate them, even if they're just taking up space. There are so many old memories that I associate with them; all those vinyl record albums are like old friends to me. Sometimes I can remember exactly what I was doing years ago when I listened to a new record for the first time. Today I can play some vinyl on my old Wildcat record player and instantly go back in time. Each album has a a story. Nostalgic candy has a story as well, and that's why I love being in the candy memory business. Old time candy can take you back in time just like old vinyl records can. There's something special about certain smells, tastes, and sounds that can instantly transport you back to your younger days. 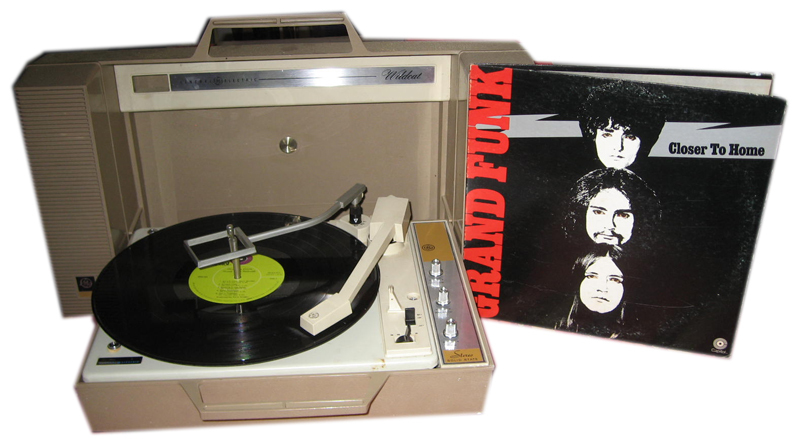 So, to honor Vinyl Record Day, get out your record player, put on your favorite record album, sit back with some nostalgic candy and enjoy a trip down memory lane! 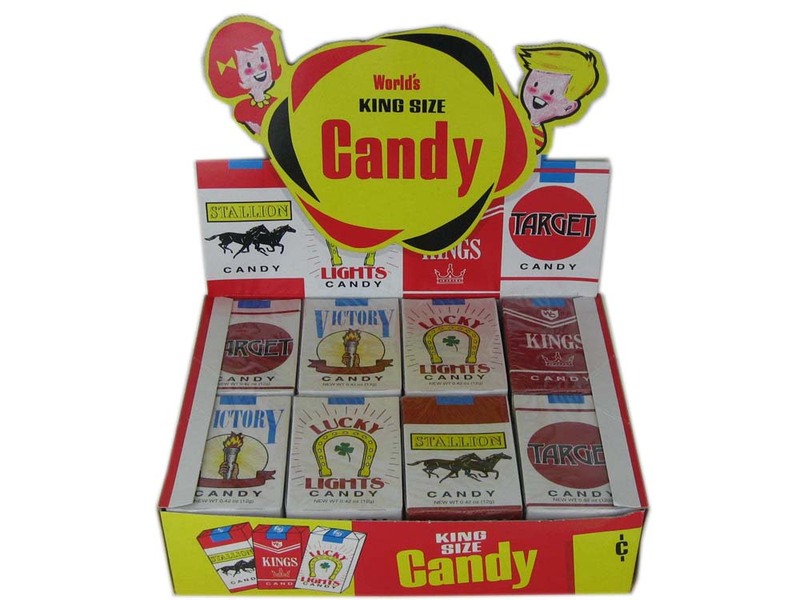 Do you remember buying old fashioned candy cigarettes sometime during your childhood? Back in the 1960s, they were seen as pretty harmless, and almost every kid was allowed to have fun with them. Maybe the kids who couldn't have them had parents who just plain deprived them of candy in general. A lot of people are surprised that candy cigarettes are still around. Some people think that they were taken off the market or banned, but that's not so in the United States. If you live in another country like the United Kingdom, Kuwait, Saudia Arabia, or Finland, you might not be able to get them. If you lived in North Dakota between 1953 and 1967, you'd have to cross state lines to buy candy cigarettes, hurry up and eat them before you came back, or bring them in as contraband. The length people would go for their candy fix! Today in the United States, you can find them mainly in smaller stores near the bubble gum or trading cards. Many bigger stores don't want any controversy, so most of the time they don't stock them. Candy cigarettes aren't "politically correct," but who cares. It's the nostalgia that's important, and they have great memories for a whole generation of people. When I was a kid, they used to make them a with a red tip at the end. Today, they're just pure white, still have that chalky taste, and go by the name "candy stix." I'm sure they've been renamed so they can seem a little more acceptable. Some brands just say "candy" on the box, but the graphics resemble Lucky Strike, Viceroy, and Marlboro packs so there's no mistaking the content. 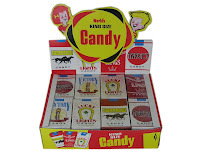 Candy cigarettes, or candy stix, hold very dear memories for a lot of adults who grew up with them, and our mission is to bring back your childhood memories one candy at a time! While we’re on the topic of fashion, candy, and trends from the 1960s, let’s look a little closer at the decade of love! There were so many diverse trends in the 60s that it’s almost hard to keep track. This decade broke so many fashion traditions that it’s totally worth exploring a little bit. The mini skirt was introduced in 1964, and fashion changed forever. We also saw the “space look” come from French designer Andre Courreges. There were trouser suits, white boots, goggles, and boxy dresses. British Mods were at the head of the fashion scene. By the end of the decade, the hippie look was in style. Men and women wore frayed bell bottoms, tie dyed shirts, workshirts, and headbands. Sandals were a key element in the style, too. Fringed vests, peasant blouses, gypsy skirts, scarves, and bangles were all the rage. Being in Woodstock, this is our favorite part of the decade! So why not go for it? 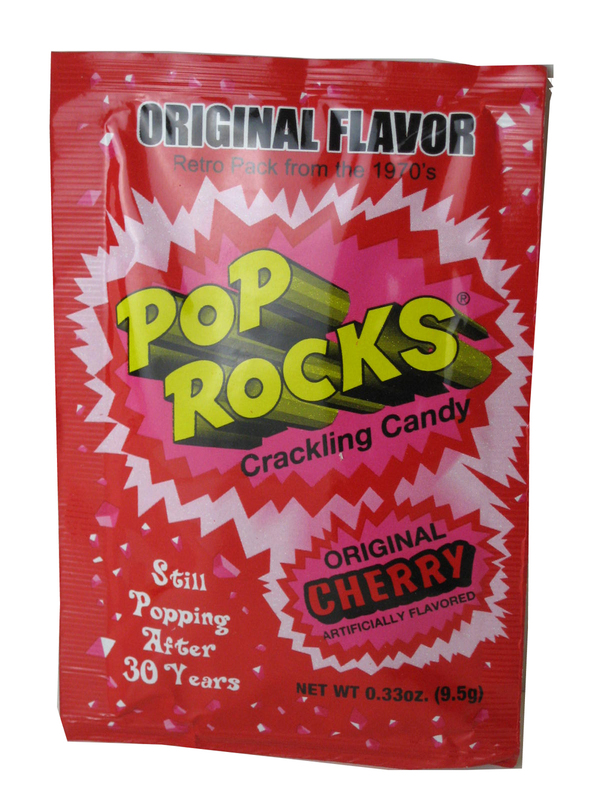 Enjoy some Pop Rocks, Black Taffy Candy, and Jujubes and celebrate the decade that made us who we are today. You might know that candy from the 1970s is as popular as ever, but did you know that the clothes are popular, too?!! Today an email in my inbox from a major department store was advertising "dresses with a 70s vibe." That store has come full circle. Last year they were pushing high fashion and now this season it's clothing styles from the '70s that are in vogue. For the fashion world, the 1970s are back in! How crazy is that? Platform shoes, floral prints, fluid fabrics, and bow tie styles are the rage. It seems like just yesterday that we wore those fashions in high school. Times change, trends come and go, but history has a way of repeating itself. At Woodstock Candy, we never left that decade behind. Actually, our whole town of Woodstock, New York is kind of in limbo between the '60s and '70s. Kids who grew up during that era have great memories of that time, and we help bring some of that nostalgia back to life through candy. We carry on a tradition of specializing in candy from bygone eras, and candy that was popular in the 1970s is especially fun. Do you remember Pop Rocks, Skittles, Razzles, Candy Cigarettes, Pixy Stix, Candy Buttons on Paper, Gold Mine Bubble Gum, Bonomo Turkish Taffy, Jujubes, and Atomic Fireballs? It's all still made today, even though you might not find it for sale in big retail stores.